Everyone knows that summer is prime grilling season. There are few things that smell better than food cooking on the barbecue. It is a scent that epitomizes summer for me, and brings back fond memories of countless backyard cookouts by my grandparents’ pool. The scent of chlorine in my hair and the taste of a juicy burger or fiery red hot in my mouth pop into my head time and again when I smell someone grilling out. 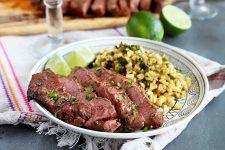 As much as my hubby loves to barbecue, I have no doubt that the same scent of burning charcoal and cooking meat will prompt just as strong of a scent memory for our children. If you do not have a backyard charcoal grill though, or if you’re in need of a new one, then this is the guide for you. Here, I’ll give you a couple of choices that we think are the best models. Then I’ll break down a few things you need to keep in mind while you shop, and list a few more excellent choices you might want to consider that may fit your specific needs. Weber is pretty much the brand to beat when it comes to outdoor barbecue cooking, at least according to some folks, and while the regular kettle is pretty good, Weber has upped the ante with the Performer Deluxe model. 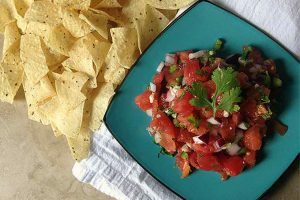 This full sized charcoal model is Foodal’s number 1 budget pick, and for some pretty darn good reasons. While the actual cooking apparatus is the same size as the regular kettle option, this unit fits into a sturdy wheeled work table with a really nicely sized work surface, as well as a wire bottom shelf. Also like the basic model, this one has the same cleaning system, with an oversized removable ash receptacle for simple and fast cleanup. As far as cooking goes, the Performer Deluxe offers the ease of a gas start with its Touch-n-Go Ignition System, which lights the charcoal with the touch of a button. 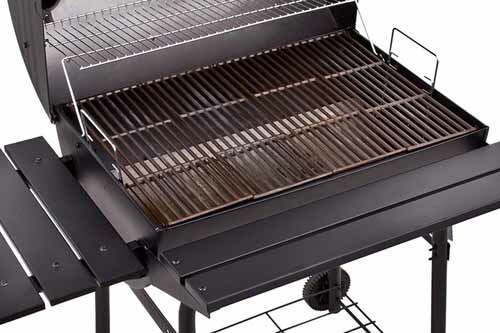 With flip-up and hinged stainless steel cooking grates, you’ll be able flip up a slice of the grate to reach the coals in case you need to add some wood for smoke, or rearrange them from direct to indirect cooking. This grate also features a convenient center area where you can place a few nice to have accessories, such as a wok, griddle, and pizza stone. Lastly, on top of having the built-in temperature gauge in the lid, this model also comes with an LCD timer that you can either clip onto the cart, or remove and carry inside with you if need be. 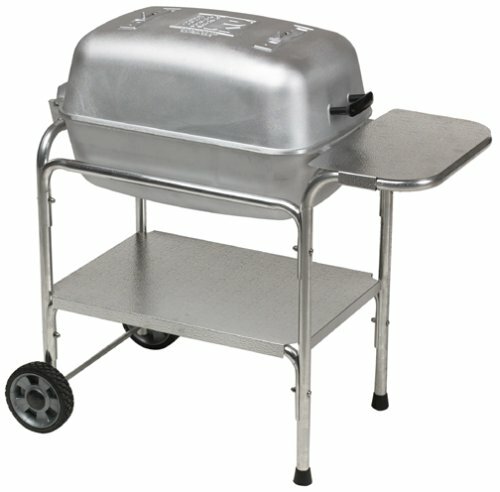 This grill really has it all – plenty of room to meet your everyday needs, the quality and durability of any Weber product, and the extra bells and whistles that make it worth the higher price, without all the extraneous stuff offered by the more expensive choices that, while nice to have, isn’t really necessary. I personally think this unit is the perfect fit for most people. Best of all? It’s still made in the USA. See all of the customer reviews on Amazon now or look at more recommendations. Made of cast aluminum and designed to last generations, the PK360 is an evolution of a classic design. These grills are poured and crafted in Arkansas by a small family business. This beautifully crafted grill has 360 inches of cooking space and can be easily set up for direct heat or can be set up with dual heat zones. 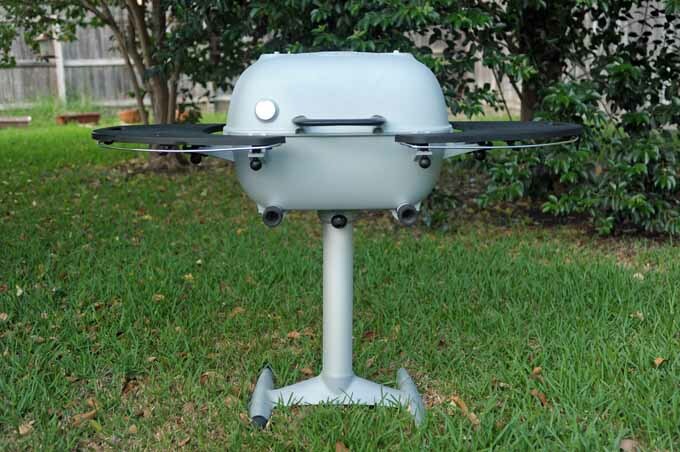 By closing down all of the four events, the PK360 is even capable of smoking ribs, Boston butts, and even beef briskets (with a few additions of fuel). This rust-proof, thick aluminum cast grill capsule features either two fiberglass reinforce polyester shelves or teak wooden shelves dependent on options selected. It’s also available in two colors: graphite and silver. The PK360 is also one of the few full sized charcoal grills that are suitable for camping or tailgating (for the average household). The top cooking capsule pops off the pedestal mount with a twist of a knob. The side shelves also separate easily by twisting off four knobs each. And it goes back together just as easily. We love this grill and we think you will too. As will your great grand-kids. 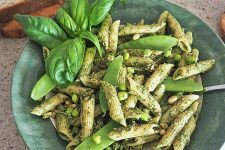 Portable Kitchen warrants the capsule for 10-years but there are examples of the original model that have been going strong since the early 1960s. This is likely the last charcoal grill you’ll ever need. Read our in depth review or check out prices and customer reviews on Amazon now. It matters so much to know how big of a model you need to buy. First, the size of the unit will greatly affect how much you will end of spending. The larger the size, the more it will cost. Second, for many apartment, condo, and townhouse dwellers, the amount of outdoor space is very limited. 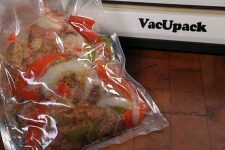 You will need to determine at the outset how big of a barbcue you can buy and still fit into a confined area. 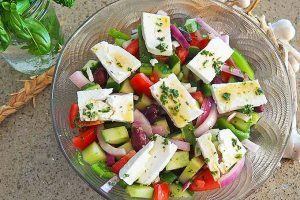 You may be better off with a smaller portable charcoal grill rather than the larger models that this article covers. Lastly, how many people will you normally be feeding at one time? 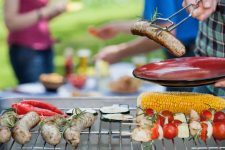 The more people you plan on barbecuing for on a regular basis, the larger cooking area you will want, so as to not be stuck slaving over the hot coals for hours when a larger model can cook all the food you need at once. The next thing I like to decide right out of the gate when making a new purchase like this is how much I am willing to spend. 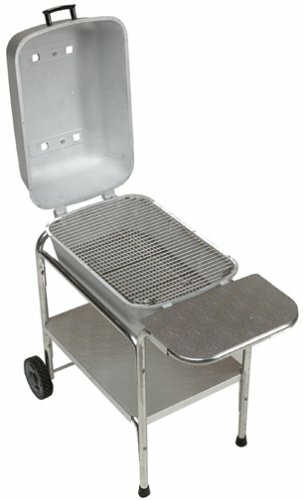 Charcoal grills can run from super cheap dollar store units to ridiculously expensive high end models. You know how much you can afford to spend on an item before you go out to buy it, so set a budget and stick to it. Once you have determined how much surface area you need, take a look at all of the available options in that size range and compare them. So, there are a few different styles out there, and for some people, what a grill looks like really matters. My grandfather had a huge barrel version, so it comes as no surprise to me that I have always loved the look of those. I know plenty of people who won’t cook on anything but a kettle model, though. You also have the bulkier models that look more like a gas unit, if you want a more contemporary look. 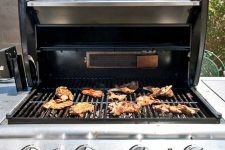 At first glance this feature may seem like a silly and insignificant factor, but if you’re new to barbecuing, let me tell you that having multiple air vents makes a big difference. If you need to keep the temperature at a certain level, keep the vents closed tightly. If the temperature has gotten too low, open up the vents to get some oxygen to the fire and liven it up some. Having more than one vent gives you even greater control over the heat level, so make sure the unit you purchase has at least one vent on the lid. And for larger units, look for two or more vents. 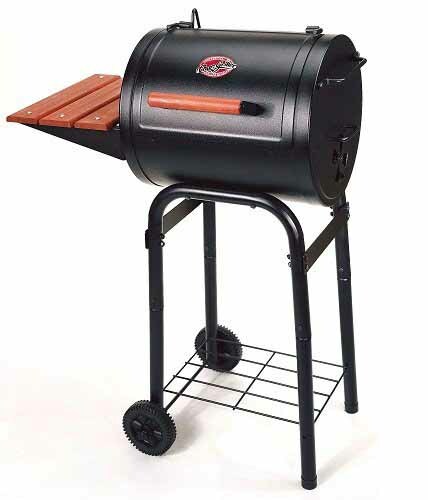 Some other nice features that you might want to look for are a removable ash bin for easy cleanup, an attached shelf for holding food, and a rack on the bottom for storing charcoal. Some models even come with hooks on the side for hanging utensils. One other aspect you might want to consider is whether you want a removable lid, or a model with a hinged lid. It seems like it would be a pain to have to find a place to put a removable lid that’s super hot from a unit that is in use, but that’s my own personal opinion. Finally, if you love ribs or smoked meats, you might want to splurge a little and invest in a unit that has an attached smoker. These are the most important factors to keep in mind when shopping around. 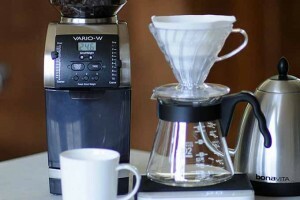 Now that you have some pointers to go by, let’s take a look at some of the most popular options available at the moment. Okay, yes, it’s true that you can get a cheap model at one of the bigger chain stores for twenty dollars. If that’s all you can afford to spend, then go for it. However, those models are just not made to last. They are made of cheap materials and thin metals that neither conduct nor retain heat well. You will only get maybe a year or two of use out of these before they start to rust and warp. For that reason, I won’t be going over any of those lower end models here. To get the most bang for your buck, you can’t beat the iconic Weber kettle grill. Made of steel and coated with porcelain enamel, this baby is rust resistant. It also has no-rust aluminum legs and air vents. With vents on both the top and bottom of the unit, it’s easy to control the air flow and thus the temperature of the fire. The round design of the kettle focuses the heat, making this a great unit for smoking as well. It has a pretty large cooking area, offering 363 square inches to spread out all of hamburgers, steaks, sausages, fish, and chicken. You can cook 12 burgers at a time on it with no problem, so unless your family is a small army or if you have summer cookouts with tons of people, this size will be plenty big for you. You can even purchase the Weber rotisserie kit and roast a fabulous tasting chicken. 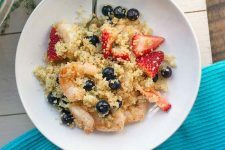 Additionally, the cooking grate is heavy-duty plated steel, which is also rust resistant, and it’s hinged to make it easy to add more fuel when needed. A great selling point for me is Weber’s One-Touch cleaning system. To clean it out after each use, all you have to do is turn the handle of the cleaning system. Three blades will move all the ash and leftover bits of charcoal down though the bottom air vents and into an ash catcher. This then lifts out for easy disposal. 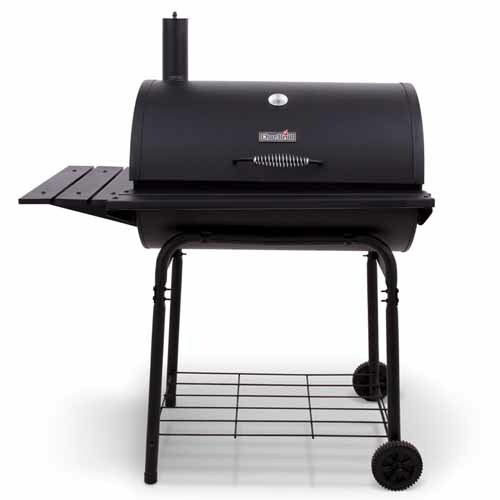 Lastly, Weber not only offers a 10-year warranty and makes most of their products in the USA (including this one), but they are also known for quick and efficient customer service. I’ll go ahead and tell you that we have a Char-Broil model ourselves, and we love it. Yes, the unit will rust if you don’t have a cover (we are able to store ours out of the elements, so this has not been a problem thus far), and the cast-iron cooking grates will also rust or warp, and need to be replaced eventually. However, I wanted to get my husband a dual gas/charcoal model, and this was the most affordable option available to me with the best reviews. Now we have the efficiency and speed of gas when we need it, as well as the flavorful smokiness of charcoal other times. Having had a very positive experience with Char-Broil myself, I wanted to include this charcoal-only option here. This particular model has a huge cooking surface, with 850 total square inches. The main cooking area is 580 square inches, and there’s a swing-away rack for slow-cooking or keeping food warm that boasts an additional 270 square inches. That’s a ton of space, and the upper level means you can be slow-roasting a pork loin while cooking some steaks or burgers at the same time on the main level. Some other great features of this unit are the included temperature gauge, cool-touch handle, a removable ash pan for easy cleanup, and an adjustable-height fire grate. For added ease of use, this model has a folding front shelf and a side shelf for holding platters of food, utensils, etc. Finally, the main cooking surface has three separate cooking grates that can be lifted individually to add fuel. All in all, even with the drawback of the untreated metal easily rusting, this is a great lower-end option. Check out what customers are saying on Amazon. I’ve given you a decent-sized model as well as an extra-large option, but I wanted to include something for those of you with small outdoor spaces. Now, Weber offers its own mini grill at a very affordable price (see our portable charcoal BBQ grill guide), and I know based on Weber’s high-quality products, that is a great little unit. 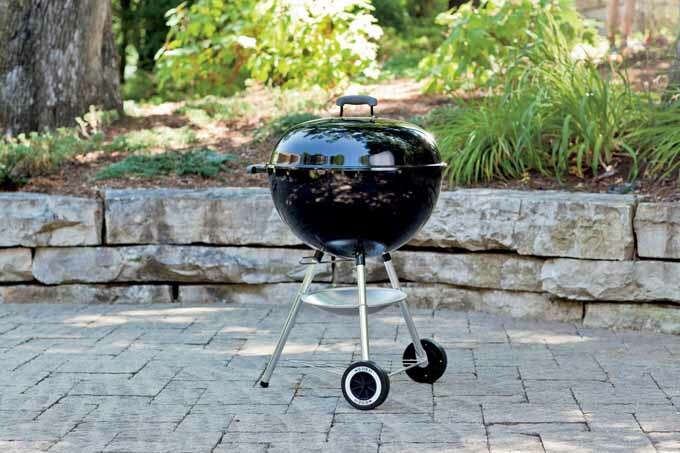 However, like most mini grills, it sits close to the ground. 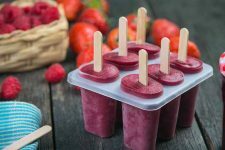 If you’re camping or cooking out at a park or something like that, and that’s your main purpose for buying a smaller model, then a more portable model would be a good choice. However, if you need a smaller model just because you have a little patio or deck, like what you have with a condo or apartment, then a unit that you have to lean over to use isn’t really ideal. I speak from personal experience – been there, done that, and it’s annoying. 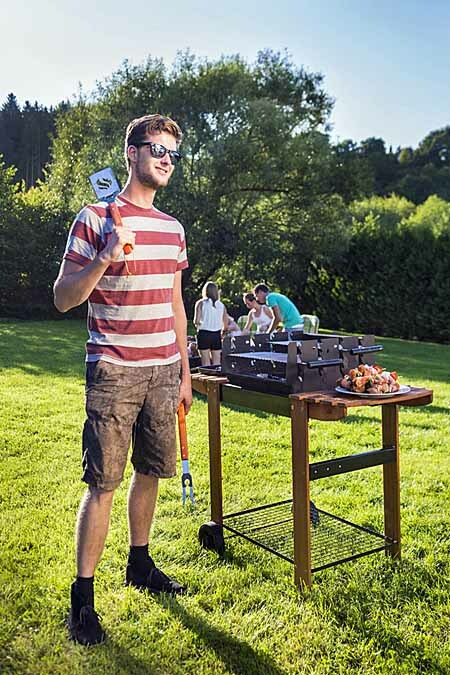 Enter the Char-Griller Patio Pro. It still has a good 250 square inches of cooking area, but in a nicely compact body. 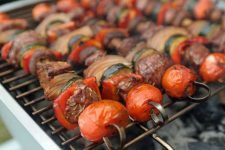 What separates it from other small grills is that it’s in a traditional grill frame instead of a short, low-to-the-ground model. 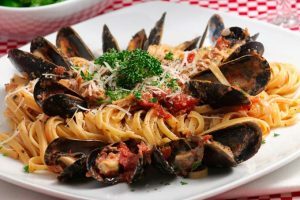 Its heavy steel construction provides years of durability, though it does have the rust-loving cast iron cooking grates. This unit actually has a double layer of steel to hold in the heat better and prevent burnout. It also has a side drawer that slides out for easy charcoal addition or ash removal. It even has a single side shelf for holding food or utensils. All in all, this Char-Griller is an excellent option if you have limited space, or typically only cook for 4 people or less. Read customer reviews and check prices on Amazon now. 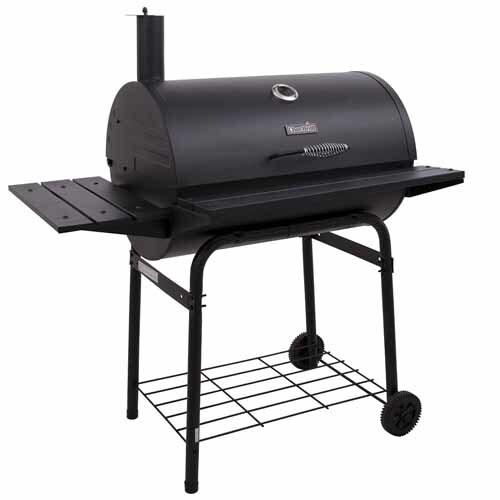 When you are willing or able to spend a little more on a charcoal barbecue, you can get a better quality product and more bang for your buck. If you’re into retro, this is the model for you. These grills look exactly the same as the original model, first manufactured back in 1950. 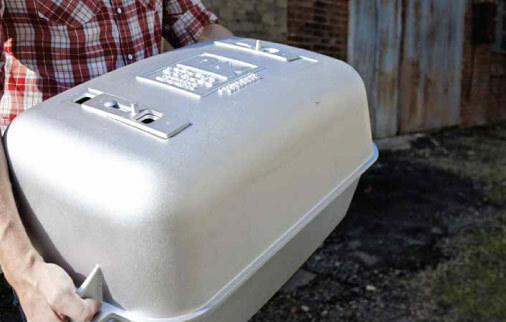 The rust-resistant cast aluminum material makes for extreme durability, lasting 40 years of more, and the thick layer makes for excellent heat radiation. This means you’ll get even cooking without having to turn your food constantly. Nickle-plated steel cooking grates are rust resistant as well, and are hinged for easy fuel additions. This model has a side tray and a bottom shelf, also made of durable cast aluminum, which is nice to for holding extra charcoal, utensils, plates, etc. Additionally, this particular model has four air vents, giving you superior temperature control. This makes it really easy to use the Portable Kitchen unit as a smoker. There are two other features that set this one apart for me. The first is that most rectangular models like this will open from a hinge on one of the long sides, or what would be the back of the unit. The Portable Kitchen model has a hinged lid that opens from one of the short sides instead. This gives you much greater access to the cooking surface, which is awesome if you’re cooking a large amount of food (with 300 square inches of cooking space, that could be quite a few burgers). The other neat thing is that the cooking section can be removed easily from the wheeled stand (really portable, no? 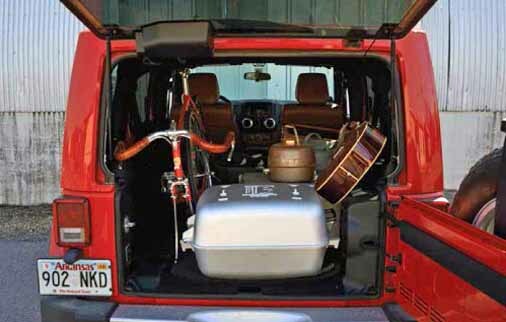 ), making it a great choice for tailgaters or campers. And the light aluminum body means that you can actually pack it around. Try doing that with your big old stainless Weber Genesis! Moreover, this classic model is made in Littlerock, Arkansas, in the USA. As you can see, there are plenty of great things about this option that make it worth the extra money. Check it out on Amazon today! Very similar to a traditional Weber kettle, what sets the Napoleon apart is the stainless steel heat diffuser installed into the charcoal grate, which helps ensure even heat distribution for the whole cooking surface. Another nice addition is the built-in hook on the lid, which also features a cool-touch handle that’s specifically designed to shield your hand from heat. The hook on the lid means you can hang it right on the side of the cooking surface. How handy is that? I know some might prefer to have a hinged lid, but I think it’s also nice to be able to access the food from any direction instead of just the front. This Napoleon is also a pretty nice size, with 350 square inches of cooking surface. You can cook up to 16 burgers at a time with that amount of space. Another nice thing is that the cooking grate is hinged, making it easier to add fuel when you need it. There’s also a good-sized ash catcher, to make it easy to clean up when you’re finished cooking. Finally, this model has a built-in temperature gauge, so you can keep an eye on the internal temperature when cooking with the lid on. Recognized as one of Canada’s best managed companies, Napoleon prides itself on manufacturing quality products, so buying one of their units will definitely get you something that will last you a long time. This would be a great option: check out buying options from various retailers. Before I go into the details of this particular cooker, I think I should give a brief description of what a kamado-style cooker is, for those of you who may not be familiar with it. A kamado is a wood or charcoal-fired cooking vessel made of some type of earthenware (usually ceramic), and it can be used as a stove or an oven due to the heat retention of earthenware. 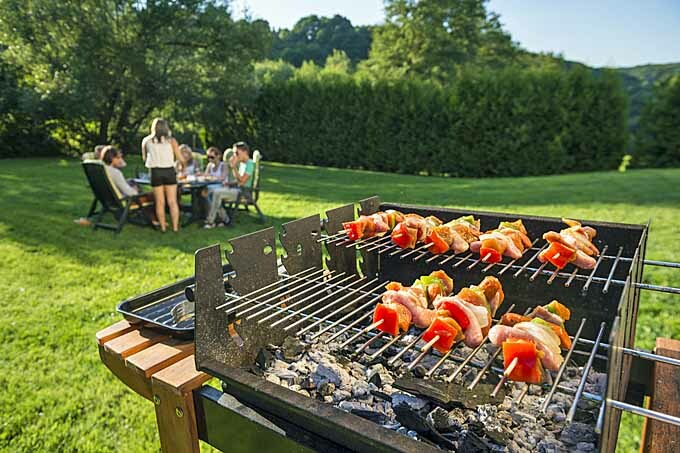 They are now becoming hugely popular in the United States, being used specifically as outdoor barbecuing devices. With that being said, most kamado-style models are really pricey. It’s nice that Char-Griller has come out with one that is relatively inexpensive. I think that part of the reason they can sell these at a lower price point is that, instead of being made of earthenware, these models are made of a double layer of 22-gauge steel. While you won’t get the superior heat retention and conduction of clay or ceramic, the double layer helps with insulation. The cooking surface is cast-iron, which is wonderful for even cooking as cast iron is a great heat-conductor. The locking lid also offsets the lack of earthenware, because it makes more of an airtight seal to keep in the heat. 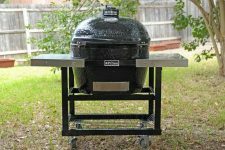 Like most kamado cookers, the Char-Griller Akorn has a pretty good sized cooking area of 306 square inches, with an additional 165-square-inch warming rack. Additionally, while some of the higher-end versions charge you extra to add on side trays, the Akorn comes with two folding metal tables. Finally, it also has a built in temperature gauge. If you don’t have huge amounts of money to blow on the fancy-schmancy kamados, this would be a great alternative. Check out what others are saying on Amazon now. 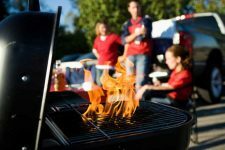 Most people understand going in that if you plan on buying a gas unit, you’ll be spending a good bit more money than you would on a charcoal unit. However, you may be surprised at just how much charcoal models can run you. If the price tag is no deterrent to you (and if grilling is something you love, then why should it be? ), here are a few top-end choices that are the highest in quality, and which (normally) have more bells and whistles than the average run-of-the-mill models. I’m a traditionalist, I love antiques, I love historic homes, and I love the look of this model. Patterned after the wooden stoves from back in the day, these grills are truly unique. 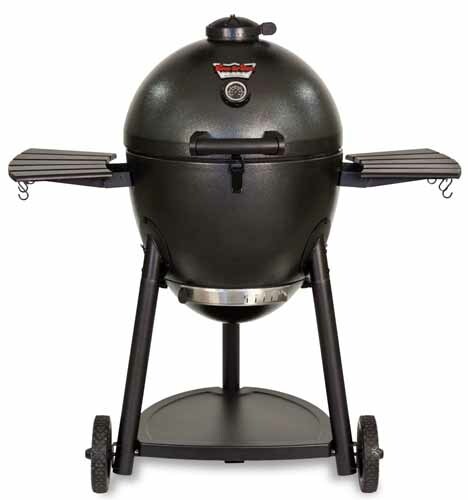 Each one is made entirely by hand in Brighton, MI, and is truly customizable because, besides being able to use charcoal (or even wood for a true barbecuing experience), you can add a propane feature to use gas as well. Why not? 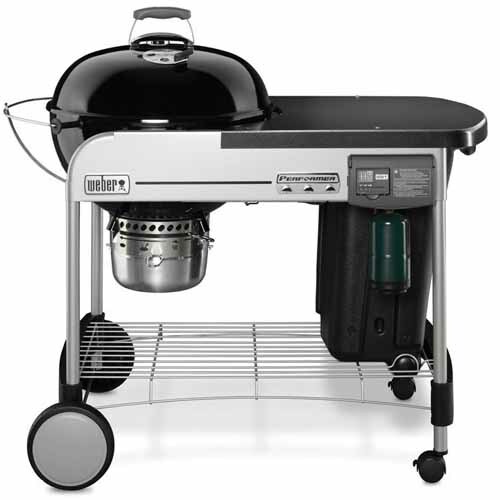 The Coates is made of heavy-duty aluminum, making it rust-proof and giving you excellent heat distribution. The fire is accessed really easily via a pull-out side drawer. This makes it so simple to add charcoal or wood, and makes for effortless ash removal. Another really cool feature is the top, which opens like French doors, giving you full 360-degree access to the large cooking surface like you would get with a removable top, but with the ease of hinged access. These units are truly one of a kind – beautiful, durable, and uber-high quality. It may have a hefty price tag, but it will be well worth it. Available only directly from Coates. 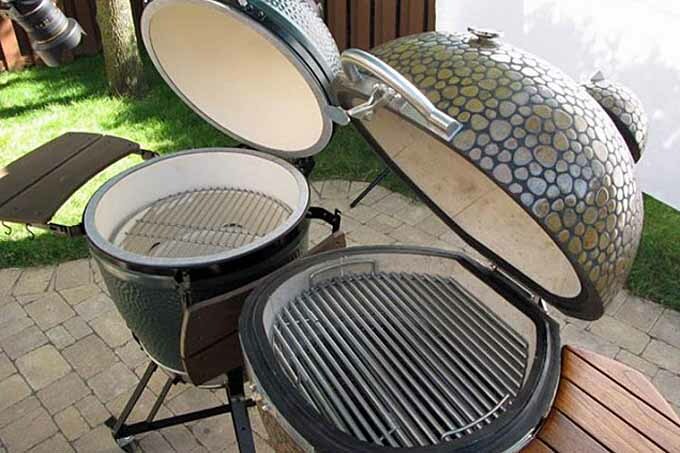 One of two luxury kamado options I’m including in this list, the Big Green Egg comes in a variety of sizes. The one I list here is the most popular size, with 262 square inches of cooking space. The 7 available sizes vary from the XXL 672-square-inch down to the Mini, with a mere 79 square inches (great for camping). It’s actually pretty cool that they offer so many sizes, because it means that you can get the one that most perfectly fits your needs. What is a little strange is that the prices will vary based on the retailer. 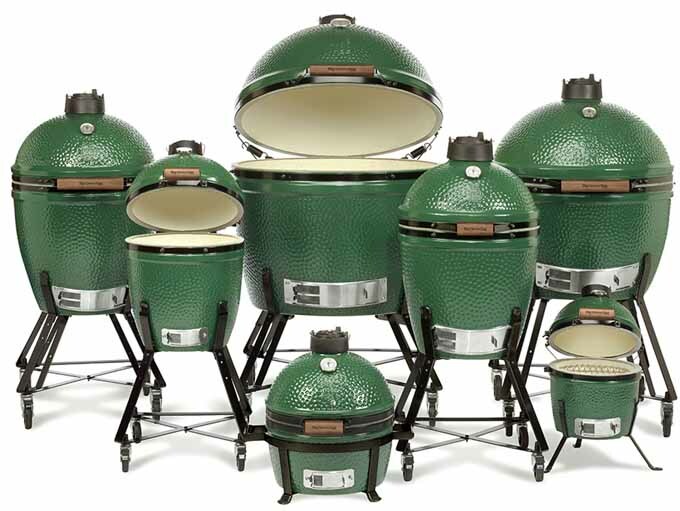 Big Green Egg does not sell their products directly, so you have to find one of their authorized retailers to even buy one. I haven’t been able to find any updated prices for 2015 yet, but there are several different sites that offer price lists. Again, prices will vary based on the store. This manufacturer makes their kamado models with ceramic for superior heat retention. This heat retention also makes them wonderful smokers. 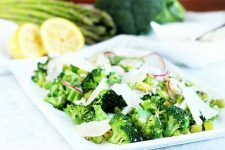 This versatility makes it a great option for backyard cookouts. Having a glazed ceramic interior makes it easy to clean as well. The thick ceramic keeps the outside of the unit relatively cool, even at the highest temperatures. Vents on the top and bottom give you the heat control that you need, especially for smoking. Lastly, buying a Big Green Egg will probably mean it’s the last grill you’ll ever have to buy. These things are extremely durable and can be used for years and years. On top of their naturally long lifetimes, Big Green Egg has top-rated customer service. In the event that you do have a problem with one of their products, they are known for taking care of any problem quickly and efficiently. Now, is all of this worth up to $4000? That’s up to you. Images courtesy of Big Green Egg. This right here is the cream of the crop. Like the Big Green Egg, the Komodo comes in varying sizes. From the massive 12-foot cooker to the 19-inch tabletop model, you can find just the right size for you and your family. And of course, you also have the 23-inch “original” model. What sets Komodo apart from other kamado-style offerings is the refractory cement with which they’re made. 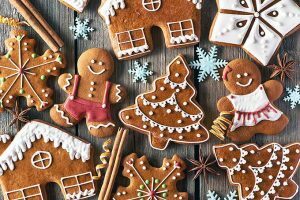 Not only that, but they are made with two layers of this high-temperature containing cement, and they also feature three additional layers of insulation. 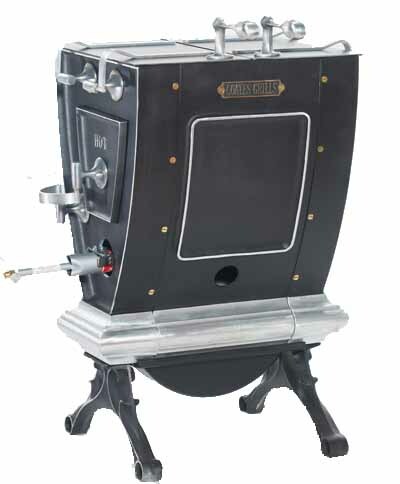 While other earthenware kamados may crack due to the expansion caused by high temperatures, Komodo cookers have a two-piece firebox that allows for that heat expansion, avoiding that issue altogether. Additionally, the Komodo has an actual airtight seal, created by the silicone gasket on the interlocking lid and base. Another great aspect of this model is the three cooking levels, and all three grates are stainless steel to prevent rust and corrosion. There is a lower grate which sits closer to the heat for searing and fast cooking. Then, you have the main cooking area for all of your other regular barbecuing needs. Finally, there is an upper cooking rack for low and slow cooking, or for keeping food warm. This unit has a ton of usable cooking area! One last feature of the Komodo is the aesthetic appeal. The outside of the unit is beautifully covered in mosaic tiles, available in several color options. This gives the cooker an almost Middle Eastern look to it, which is just stunning. With all of these great features, you can (almost) understand the huge price tag. Available only factory direct. Photos courtesy of Komodo Kamado. And there you have it, folks. My personal top nine awesome charcoal options, and what I consider to the best overall choice. 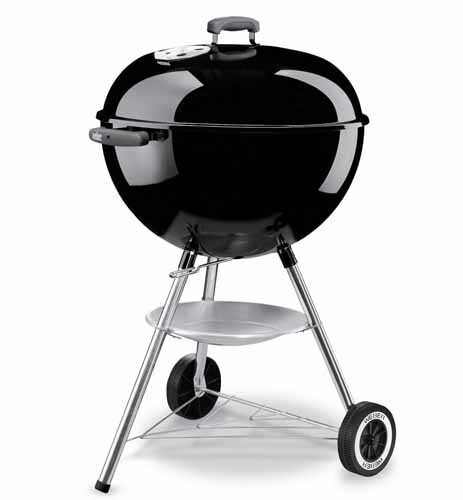 That gives you ten great barbecue grills from which to choose. Want some more options and guides? 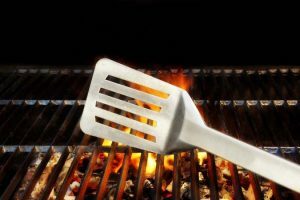 See all of Foodal’s grilling articles now. Using other fuel instead of gas is more work but you get delightful returns in sweet smoky flavor. Dark beer soaked pecan or apple chips are my wood of choice for a complex, layered taste that is just intense enough. 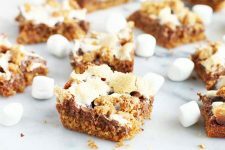 I love the idea of using beer-soaked wood chips! 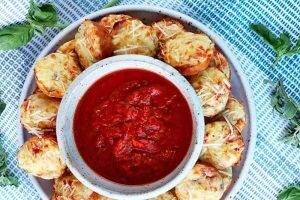 I’ll be getting by husband to give that a try soon. I love the breakdown you give for each one of the grills. I actually have a question! You said you have the Charbroil 800 series. Do you find that the use of charcoal causes issues with using the gas option later? I tend to stick to charcoal only because I don’t like the flavor difference with the gas, but my boyfriend likes the ease and convenience of the gas option. I want to possibly get him one of these as a gift for Father’s day, but I’m worried about the dual options causing issue with one another. The gas section is on the left and separated from the right side where you use the charcoal. They are completely separate, so there is no interference at all. My dad had a big barrel type too when I was younger! My brother picked up one the other day for his home. It’s a great classic look. Thanks for the great tips on buying. Saves some research. I’ve been wanting to have a cook out so badly for the past few months, but I can’t because I’m in an apartment! I’ve been hoping to go to a nearby barbeque spot to get some good eating xD. Might purchase the one touch by Weber, because it looks cheap and handy to use, and I’m not sure how much use i’ll get out of it this summer. With so many styles and methods on grilling, it makes my head spin. My family has a grill made by Weber although I have no idea what specific model it is. We have had this grill for so many years. What I can say is that the type of grill we use needs charcoal. We’ve certainly had some great grilling weather here in the UK just recently and the scent of barbecue is wafting down my street right now! 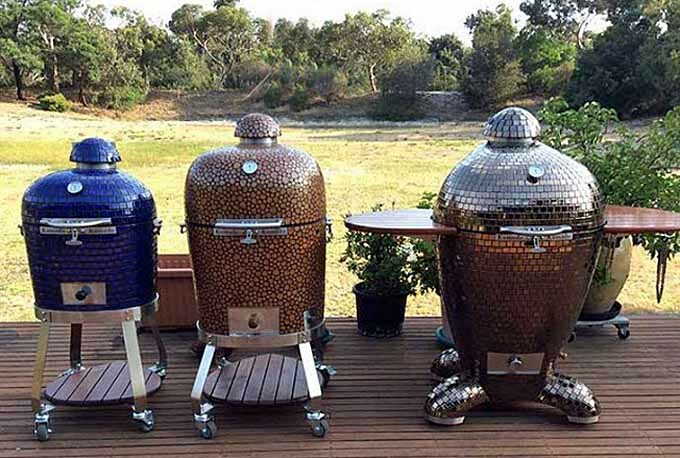 These grills really do look fantastic but I really couldn’t justify the expense given that I’d only get to use it 3-4 times per year. If you are lucky enough to live somewhere with fantastic weather then these models could be a great investment. We have something very similar to the Weber kettle. It’s perfect for us because we are not a very large family, plus it doesn’t take up a lot of room. It’s definitely barbecuing season in my neck of the woods and the whole neighborhood knows it. There isn’t one weekend where you can’t catch a whiff of some delicious grilling going on. Those Komodo Kamado models are beautiful. They almost look like large planters or garden art. The weber 22 inch is perfect for my family because we don’t usually use a lot of food most times. But I love this list so I can keep in mind what I want to get in the future, as I would like to have more room. 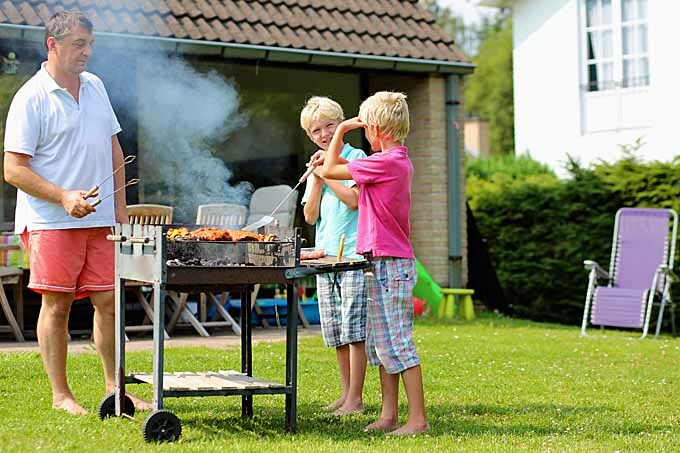 Nothing beats the unrivalred smell of well prepared food cooking on the barbecue. It also reminds me of old fashioned values and pleasant family reunions, my grandpa was a master on the grill. But he never used a barbecue. Instead He made a fireplace fueled with charcoal and with a metal grill rack above. Thanks for writing this. I’ve finally convinced my husband to let me get that Weber grill. We are from Chicago and charcoal grilling is the ONLY way to go. We’ve had a weber in the past and it wasn’t as fancy as this one so I look forward to using this new grill. Thanks again. What about the grill shown in the first three photos? It looks interesting and would like to know more. I need an adjustable height cooking grate. It used to be a really useful common feature. 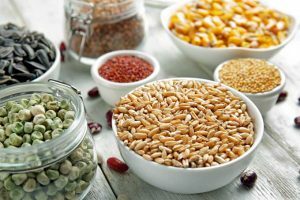 What Types of Whole Grain Can You Grind at Home?